The driver brought us down at the corner of the House of Dakay, which is one of the must-sees in Batanes. 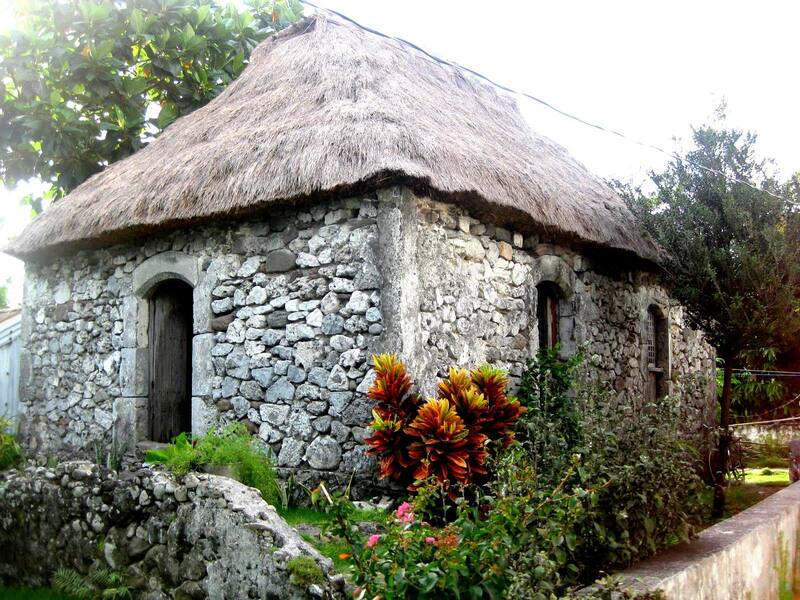 It’s the oldest stone house in Batan Island from 1887 and has been featured numerous times in various local and international publications. It is also a UNESCO Heritage Building. The current owner is lola Florestida, a friendly woman in her 80’s who has also become famous because of their house. I also read from several blogs that she is perhaps the most photographed woman in Batanes. Slowly, we made our way to the door from the left side. I saw an old lady walking in the middle of the room. Oh, she must be that famous Ivatan! In my most active tone, I yelled, “Good afternoon pohhhh!”. The old lady jumped two steps back and held her heart. She remained speechless and frozen in her place for a few seconds. Her eyes bulged and she looked at me as if I were a ghost or perhaps a criminal. For a brief moment, I thought I had caused her a heart attack because she remained motionless for a few seconds. When she regained her composure, I apologized profusely from the door. Remembering the efforts we made to get there, I asked her if we can enter her house in a timid voice. To my relief, she said yes. She seemed to have forgiven me and we were able to chat nicely after that. She sat on her bed while our eyes wandered around. The house was more like a small room. The floor and tables were dusty. I felt sad. Here was a UNESCO building and only the façade appeared to be in good shape. I wondered if she was receiving help from the government.